Yoast SEO plugin is the no.1 best plugin for WordPress blog. Everyone want to use it, But they don’t know “How To Use Yoast SEO Plugin For Better Search Ranking”. If you are new in blogging and you have a WordPress blog then you also want to make your blog more SEO friendly. In this post, We will talk about using Yoast SEO plugin to get higher search traffic. Blogging SEO is most important for getting high traffic from search engine. Yoast SEO plugin gives you offer many features to optimize your blog for better SEO as Meta tags, RSS feed, social media verification, google, bing, yahoo, Pinterest verifies and other many features. You can easily optimize your site and get improve the search ranking of your WordPress site. There are many plugins as All In One SEO but Yoast SEO Plugin one plugin that really help you to increase your site search ranking. Many bloggers are using WordPress SEO Plugin. In my case, I also use this plugin. For this reason, I’m sharing this tutorial which will help you set up Yoast SEO plugin and optimizing your WordPress blog. New blogger wants to index their site faster. This post can be helpful all new WordPress blogger. You learn some good tips here to follow below step and make search engine optimization to your blog. Before we go ahead with our setup guide, I say you that read carefully this post then follow it. Website name: Leave empty here. Yoast Seo plugin auto-generates your blog title. Company or person: Choose your website admin details. You can choose on in both Company or Person. You can submit your site Alexa, Google search console, bing webmaster tools and Yandex webmaster tools throw this feature. 3. & 4. Security and Onepage.org: You can select both features or leave default it. This is most important part of this plugin. You can choose any title partner and you will leave empty this feature to unclick on Force rewrite titles. Now click on homepage option and configure the setting of your blog homepage title or meta description. You can follow below screenshot. This is a screenshot that how to show your post on a search result. You can set up this setting as belove image and leave default Media title. If you want that show only post title then add %%title%% code in posts and pages title. If you want to search engine index category or tags of your site then leave default this feature. If you don’t want to index search robot your site’s category and tags then tick Meta robot or Yoast SEO meta box. Here you can disable if you can’t want to index author archives or date based archives. In my case, I have disabled it and suggest you disable to author archives and date-based archives. Leave default other features. This is the final option of titles and meta tags features by Yoast SEO plugin. I’m index subpages of archives. You can follow me and set up other feature below image and leave all other option. Here you can add your social profile link to get more search engine traffic. When you set this feature successfully then search engine show your site by searching your social profile name. You can follow below image to set up social setting. Here you set up Add Open Graph meta data default and upload your facebook image. You can copy home meta description for facebook account in Title and description. If you have facebook apps for your site then you can set up here or leave empty. Tick on Add Twitter card meta data and select Summary with the large image in this feature. That’s both features you can set same as above steps. This is one most important feature of Yoast SEO WordPress plugin. You can enable sitemap option and this plugin automatically generates the sitemap for your site. After creating sitemap you have need submit a sitemap to google, bing, yahoo search engines. It is very important for site’s good search ranking. All other feature of here you can leave default. Yoast SEO already set up that good quality for your site. I never use Breadcrumbs for my site. So I don’t tell you about it and you need settings of permalinks. You can set up permalinks as below screenshot images. Select Redirect attachment URL’s to parent post URL, Remove stops words from slugs or Remove the ?reply to on variables options and leave all other options. Leave empty Content to put each post in the feed box and paste this code below box “The post %%POSTLINK%% appeared first on %%BLOGLINK%%.” I am already using the same code on my site. This is final settings of advanced tab. This is an another features to WordPress SEO by Yoast SEO plugin. Here you can edit your WordPress blog extra files as .htaccess and robots.txt files. At this time I have not used this features, If you have good information about .htaccess and robots.txt file then you can use it. Here you can control google search console Crawl Error links by connect search console to this feature and fix them without going on search console. This features is a beautiful feature and allow you fix to crawl error direct your WordPress blog. You don’t need to open search console. In My Above Post, I explained that “How To Use Yoast SEO WordPress Plugin For Better Search Ranking”. I sure you get here good information in this article. 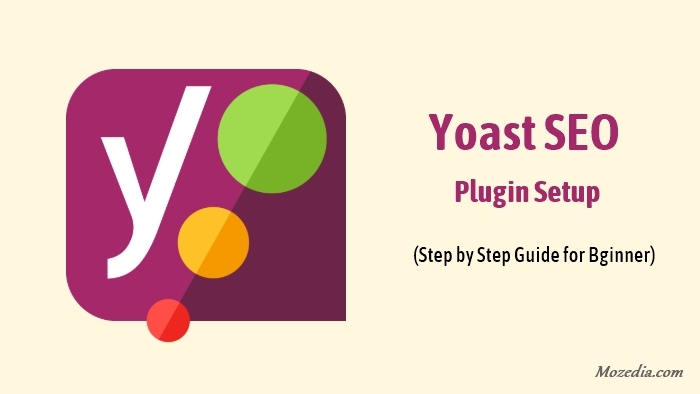 Now you can easily set up Yoast SEO plugin on your site. By the way, you have any question and you want to ask to me then don’t worry feel free and ask your question in below comment section. If you get good information in this article of Yoast SEO plugin and want to say thanks to me then share this post with your social media friends. There are no plugin for this popup facebook like box. I have using coding for it. Thanks for good infomation of yoast seo. But how to add robots.txt in wordpress ??? Please tell me about that. You can follow carefully yoast seo plugin step. It is generate automatically robots.txt file.